• G.I. 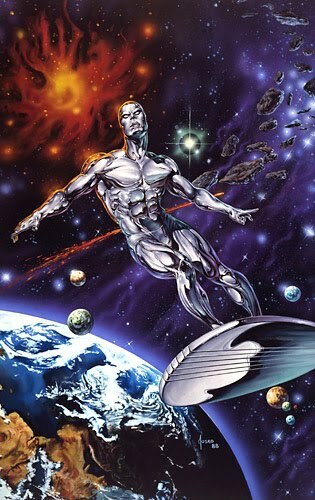 JOE #21 "Silent Interlude""
• PLOT SUMMARY: Snake Eyes on a solo mission. Storm Shadow has captured Scarlett while she was on a routine parachute drop exercise and brought her to Destro's Castle as a present to Cobra Commander. Snake-Eyes learns of her capture, and has to sneak in stealthily to rescue her. 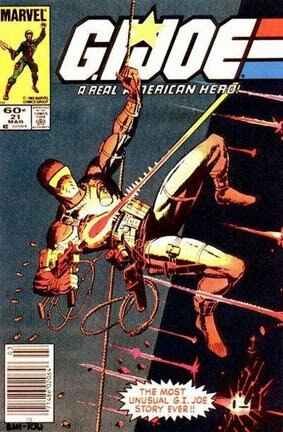 During the rescue, we learn that Storm Shadow is related to Snake-Eyes somehow based on both of them having the same tattoo on their right forearms.